Michael Verde guides audience through history of great leaders, thinkers. 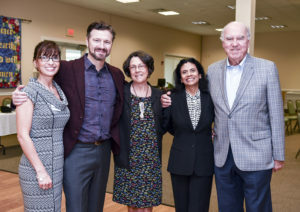 Michael Verde, nationally renowned speaker on literature and philosophy presented a program on Transcendental Leadership for prominent local philanthropists and their guests in February as part of the Martin County Community Foundation Speaker Series. https://www.thecommunityfoundationmartinstlucie.org/wp-content/uploads/2018/12/TCF-Horiz-Logo-stacked-high-res-300x88.jpg 0 0 Robin C https://www.thecommunityfoundationmartinstlucie.org/wp-content/uploads/2018/12/TCF-Horiz-Logo-stacked-high-res-300x88.jpg Robin C2018-03-07 13:04:102018-03-07 13:10:34Michael Verde guides audience through history of great leaders, thinkers.